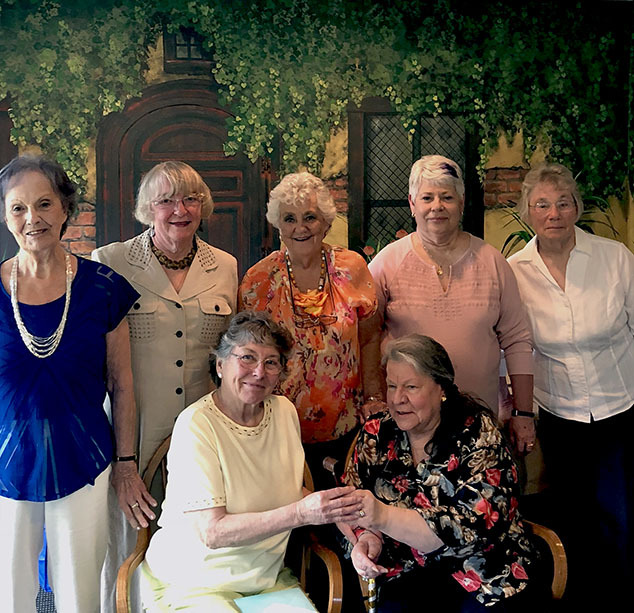 On Wednesday, June 13, at the annual Spring Luncheon at 74 Main, the Millstone Restaurant, the Andover Service Club Members elected the Executive Board for FY 2018-2019. They are Sandra Graves, President; Mary Phinney, 1st V.P. ; Evelyn Davis, 2nd V.P. ; Eileen Mackey, Secretary; Meme Bowne, Corresponding Secretary; Robin Boynton, Treasurer; Sandy Miller, Assistant Treasurer; Mary Ofenloch, Past President. The FY 2018-2019 budget was unanimously approved. Sign-up sheets for baking pies and volunteering at the July 4 fundraiser – “Slices for Scholarships” – were passed around. Members were asked to bring their pies to our new venue at the Andover Firehouse. Reports were also presented for the Thrift Shop, the Proctor Birthday Cake fundraiser, and the spring flower planting at Town Hall. As a table favor, each member received a decorated ball point pen. President Mary Ofenloch suggested that the ladies use the pens during their summer vacation to hand-write a note or letter to a family member or friend, or to compose a poem or short story. Mary said “In this digital age, when hand writing is becoming a lost art, we should take some time to write, and perhaps you could bring your writings to the September meeting to read to the members.” The ladies said this was a good idea. After a delicious blueberry cobbler dessert, the ASC adjourned for the summer. The ladies of ASC wish everyone a very happy, restful summer. 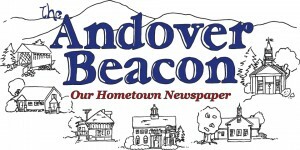 We hope to see everyone at the Andover Firehouse on July 4th.